WV-SORO often works together with royalty owner organizations because we have a lot of common interests. 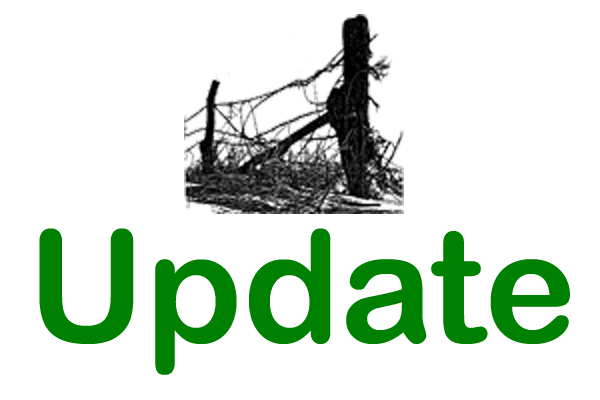 One of those royalty owner organizations is the National Association of Royalty Owners (NARO). NARO is having a series of town halls on oil and natural gas issues. These are free presentations open to the public. This Wednesday, April 17th, there will be a presentation on “Gas Processing – The Big Picture” at the Sistersville Volunteer Fire Department, 121 Maple Lane, from 6-8PM. Please attend if you are interested in learning about this aspect of oil and gas development and production. Registration is requested, but not required. Refreshments will be provided. Click here to register and learn more. In addition, Dave McMahon, a lawyer and the co-founder of the WV-SORO, will be there to say hello to members and stay afterwards to answer any questions our members or members of the public might have on issues affecting surface owners. The 2018 legislative session, like the one before that, was consumed by “forced pooling,” which became “cotenancy.” Those bills were about a very controversial issue — one-sided versions of which were pushed by industry. The problem from the WV-SORO point of view was that consideration of these bills sucked all the air out of the Legislature on oil and gas issues and left little time or interest in the things that we wanted the Legislature to take up. 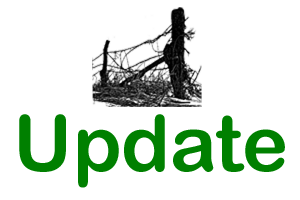 Having said that, we think that WV-SORO, along with our allied mineral owner and farming organizations, did pretty well in getting protections in the 2018 cotenancy bill for surface owners (and for the 30% or so of our members who also own minerals). There are three significant benefits for surface owners in the 2018 cotenancy statute. First, and most importantly, if the driller is using the 2018 cotenancy statute to drill a well, then the well pad and roads, etc. needed to drill that well cannot be placed on a surface owner’s land without the surface owner’s consent! Second, signing bonus money and the first seven years of royalty money that cannot be paid to mineral interest owners because they are unknown or unlocatable will go to plug the thousands orphaned “abandoned” wells scattered across the State — and after seven years that money and the mineral interests can go to the surface owners. Third, there will be a few less well pads because the bill will result in some longer horizontal well bores. The benefits and protections for surface owners are outlined in more detail here. We also have a page for mineral owners explaining the provisions of the 2018 legislation and various courses of action to take if you are affected. We were just gearing up (drafting improved versions of bills, getting sponsors, etc.) for this year’s legislative priorities when the issue of orphaned oil and gas wells blew up from the very serious problem it as always been to one of, if not the most, widespread property rights and environmental disaster in the history of the state. Orphaned wells have always been a problem. Wells need plugged at the end of their useful lives to prevent oil and gas and surface pollution from leaking into groundwater and onto the surface and into the air – plus their very existence and the threat of these issues devalues surface owners’ land. In addition their existence bolsters the drillers arguments that mineral owners’ old leases are still in effect (when they really are not). One way that wells become orphaned is when a driller with lots of assets (generally a driller that is drilling new wells and who can therefore pay for the plugging of old wells), transfers their old wells to a driller who will just milk what gas production the old wells have left and then go out of business, instead of plugging the wells that are barely producing themselves. This is largely how we got the current 4,500 orphaned wells. (And there are 8,000 additional wells that still have a bonded operator, that have not produced gas in a year, and that should already, by law, have been plugged. Many, many of which will become orphaned.) This can happen because under current law drillers are not required to plug wells if they are producing any gas at all. Also drillers only have to post a $50,000 “blanket bond” for all their wells no matter how many they have – so for some drillers this is only $25 per well. Diversified Gas and Oil, et al. Then the news hit that a company called Diversified (and its subsidiaries including Alliance and Core) are exploiting these weakness in our laws and using them as an exploitive business model. 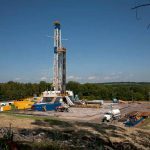 Diversified is buying up declining, older, conventional vertical wells from the drillers developing horizontal wells to the Marcellus and other shale formations. Diversified is promoting to its investors on a stock exchange in Great Britain that it can keep milking these wells for 15 years. After that its wells will no longer be “commercial” — i.e. not even producing enough gas to pay to operate themselves — let alone pay for plugging. It has purchased 17,000 wells in West Virginia alone and we estimate about 10,000 of those wells will become orphaned starting in 30 years — 2049. When the news hit, we dropped everything else we were working on. We did research, and we found an obscure rule in the Code of State Rules that allows citizens to request a hearing on the transfers to Diversified. We researched and submitted a memorandum of law on why we thought the state should deny the transfer of plugging responsibility from EQT and other such producers to Diversified and its subsidiaries. And we asked for a hearing. We held a press conference to announce that we had asked for a hearing, and got statewide coverage. But we have never been so deeply disappointed by the DEP. They did not grant us a hearing, they did not put up a fight, and they did not deny the transfers! The next step was to take the fight to the Legislature and add new legislation to our priorities. After consulting with national allies such as the Environmental Defense Fund, and after doing our own research, we proposed the Orphaned Oil and Gas Well Prevention Act which was introduced as House Bill 3065 and Senate Bill 576. The Act would have required operators of wells that are transferred, as well as new wells and some other wells, to either post a bond in the amount of future plugging costs, or post cash, or start paying for the cost of future plugging through an escrow account established in the State Treasurer’s office. Certain legislators in the House who we hoped would help us, let us down early in the session and left us playing catch up for the rest of the session. But other legislators stepped up! In particular, Senator Charles Clements from Wetzel County and Randy Smith from Tucker County were helpful. But it got to be too late in the session. Those working against us included legislators like Senate President Mitch Carmichael, who put the kibosh on several bills wanted by surface owners and mineral owners. In the end, the major plugging assurance legislation we wanted died, and even a last minute version that just increased “plugging assurance” on transferred wells died. However, the ruckus we raised and our efforts of exposing the problem of orphaned wells, and advocating for action to plug them did have an effect. Three bills got introduced that would have provided enough money to begin to plug orphaned wells and at least put dent in the problem. House Bill 2779 was the first of three bills introduced to provide money to plug orphaned wells. WV-SORO proposed this legislation, which would have generated enough money to plug 200 orphaned wells in the first year or two and 30 or so a year thereafter. The bill would have used money held by the circuit courts for missing and unknown mineral owners in the nasty partition cases the drillers have been bringing to plug orphaned wells. It also would have used money held for missing and unknown mineral owners in missing and unknown owner lease cases. After passing the House, and being approved by two committees in the Senate (all without a whiff of opposition), HB 2779 was ambushed on the last night of the session on the Senate floor. There are speculators (the ones that usually make a living buying minerals at tax sales) who are going to surface owners who don’t know they might someday get those royalties being held in circuit court. These speculators offer to buy the unknowing surface owner’s land without of course telling them that they could be coming into lots of money plus title to their underlying minerals. This ambush was organized mostly by these speculators, and came with only 6 or 8 hours left in the session and not enough time to find any middle ground or clear up the confusion, ultimately killing the bill. Senate Bill 665 was also introduced and some of its provisions would have plugged maybe 40 to 70 wells a year. It had the next best chance of passing. The horizontal drillers wanted it. It would have given the drillers the option to get a faster permit if they paid an extra $20,000 permit fee for the first well on the pad, $10,000 for the permits for other wells on the same pad, and a $5,000 permit modification fee. As a result of our advocacy the big horizontal drillers put in the bill that half that money would go to plug orphaned wells, while the other half would go to increase DEP’s permitting staff. However, some of the big drillers played games in the House and got the fees reduced to $10,000, $5,000, and $5,000 respectively, even after the House Energy Committee chairman offered a compromise of $15,000, $7,500, and $5,000. As a result the Senate, voted to amend the fees to $30,000 for the first well, and $15,000 for each addition well on the same pad. Everyone expected the House Energy Chairman was going to concur with further amendment back to $20,000, $10,000, and $5,000. Instead, the House leadership refused to concur and rejected the Senate amendment bumping the fees back to $10,000, $7,500, and $5,000. It is unclear whether this would have been enough to fund the staff increases needed because this meant more drillers would take advantage of it but pay less money to increase staffing. The House’s last action was communicated to the Senate with only an hour or so left in the session, killing the bill. House Bill 2673 – A third bill that would have provided money to plug orphaned wells was proposed by the Independent Oil and Gas Association (IOGA). Last year they proposed a bill to just eliminate the 5% severance tax on their low producing wells that were being made unprofitable by the Marcellus Shale drillers. Because of our advocacy on orphaned wells, this bill this ended up reducing the severance tax on “low producing” from 5% to 2.5% and dedicating that remaining 2.5% severance tax to plugging orphaned wells. The average cost to the DEP to plug an orphaned well is $65,000. Industry estimated the bill would generate $3.5 million, and plug 53 wells a year. The Finance Committee estimated $8 million, and 125 wells per year. This bill passed! We were just about to send out an update highlighting this, when without warning, the Governor vetoed the bill. 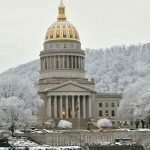 As reported by the Charleston Gazette-Mail, the veto even left the industry “scratching our heads a little.” WV-SORO blasted the Governor (need to put the statement on the website and link to it) in the press for vetoing this badly needed legislation without consulting any of the stakeholders regarding his concerns. Even the State Journal did an article about how badly surface owners had been treated by the session. We were about to send around an update explaining how terribly disappointing this was when it was reported by WV MetroNews that HB 2673 is one of the bills the Governor is going to add to the call for the current special session. Maybe all of our this condemnation had an effect! In the end there was lots to be disappointed about. No bill moved that would have prevented more wells from becoming orphaned. On the other hand, thanks in parts to the contacts some of you made when we asked you, we may get some money from at least one bill to start plugging wells and putting a dent into the existing problem. Importantly we did enormous consciousness raising causing the small and big drillers to put orphaned well plugging money into THEIR bills. We even had the pro-business State Journal running a front page article and even an editorial that supported us. We also have two Energy Committee chairs that are really upset with industry not only on these bills, but on other bills including one that mineral owners wanted that would make it easier to clear up courthouse records of expired leases of their minerals, and another that would have altered the way partition suits are used against mineral owners. So we may yet get something this year. And we are well positioned for next year. In our lobbyists’ experience it takes three years to get a bill passed in West Virginia. The first year just gets attention to it and is used to deflate opposition by alarmists. The second year the bill moves, but problems emerge and lessons are learned. The third is the charm. This year was the second year for the bill that passed and was vetoed (HB 2673), the second year for WV-SORO’s that died in the Senate on the last night (HB 2779), and the first year for the expedited permitting money bill that died on the last night. And even if it is the first year for the bill to require “plugging assurance” to prevent future orphaned wells, we are encouraged for it passing next year. With your help and support, we can do even better next year, not just on orphaned wells, but on pipelines, and on reunification, and on surface owner protections.